Bariatric Configura Recliner. Tilt-in-Space 16"
• 102Kg stone weight capacity on legrest. Resources Bariatric Configura Recliner. Tilt-in-Space 16"
Configura Bariatric Chair, Duratek fabric. Tilt-in-Space 16". 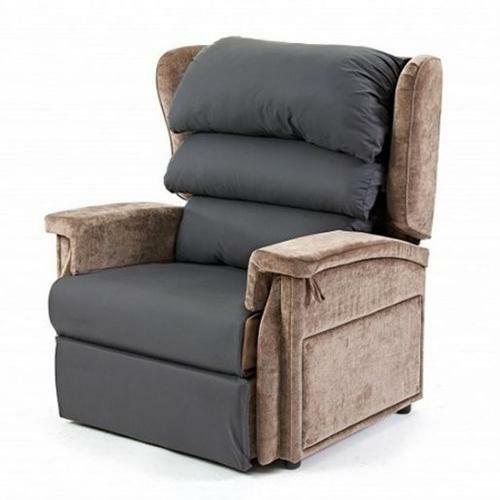 Unless otherwise stated, this chair is supplied with a Visco cushion and a Multi-Adjustable Pillow Backrest. • Breathable, wipeable fabric on seat base and backrest. • Interchangeable armrests with 3 different widths. • Supportive armrests for easy transfers.